Hello everyone, my name is Stacey and this handsome lad is Marlo aka Mr Marlo, aka The Pie, aka Marlon, the list goes on. We always seem to have many nicknames for our furries don’t we? He is my best pal and always seems to listen to me without interruption, horses are so good for that! Marlo is a 16.1hh Clydesdale x TB and boy am I lucky to have him in my life. I am biased of course but I know he is just perfect. 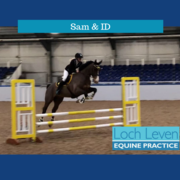 Liz & Splash's Blog - The Ups and Downs Continue! This weekend is definitely going down as a learning experience. After a nine hour drive with a couple of stops on route, the boys (Archie & Euan 11 & 8 years) and I arrived at Hartpury exhausted but very excited. After finding the stable manager’s office and getting our passport checked we were able to get Splash settled into his stable and unpack everything. A study carried out by the Animal Health Trust and Rossdales Equine Hospital and funded by World Horse Welfare has found that horses that gain weight are at significantly greater risk of developing laminitis, compared to when they lost or maintained their weight. A recent survey found that 90% of horse owners didn't know how to spot the early signs of colic. By this we don't mean the obvious signs like pawing and rolling but the more subtle ones like not finishing their breakfast, doing a few less poos over night or just being a bit quiet. On their own they may not ring alarm bells but they may be the start of your horse trying to tell you they aren't feeling very well. 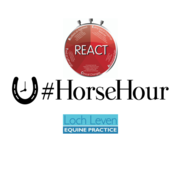 This week we are supporting the British Horse Society's REACT to Colic week and have discovered a fantastic podcast from #HorseHour on how to spot those early signs of colic. 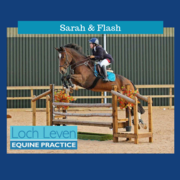 Welcome to our first blog from Liz and her horse Splash and Dash (aka Splash). 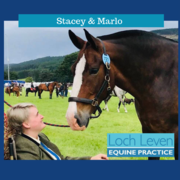 Some of you may have met Splash at some of our practical workshops but for those of you who don’t know him, he is a 7 year old Irish Sports Horse belonging to Liz and Hugh Somerville, owners of Loch Leven Equine Practice. 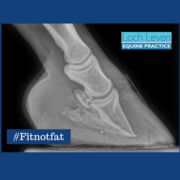 The practice is an equine only veterinary practice covering Central Scotland with purpose built surgical facilities at Cleish, Kinross. 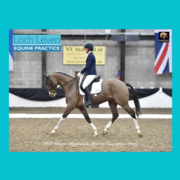 Liz and Splash train with Team Oakden and are focusing on dressage this year after some good early affiliated results. We wanted to share their journey because just like you guys, Splash is Liz’s pride and joy, and believe it or not, the ups and downs of horses does still happen to a vet’s wife! Colic is a huge welfare concern for so many horse owners given that it can occur suddenly, without warning and the potential consequences of a colic episode. As vets over 30% of all of the emergency calls that we receive are to see horses with colic. 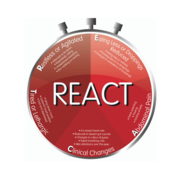 Research from the University of Nottingham found that 1 in 3 of these emergency call outs to colic were critical and required urgent veterinary treatment. Are You a Responsible Horse Owner? 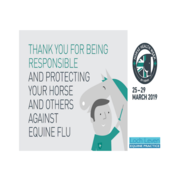 If the answer to this is yes and you have chosen to protect your horse from equine flu by vaccinating we want to hear from you. 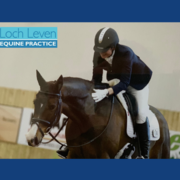 Loch Leven Equine Practice are delighted to be supporting Keeping Britiain’s Horse’s Healthy (KBHH) awareness week. 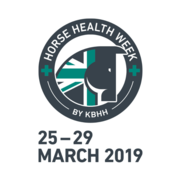 Horse Health Week aims to raise awareness of exactly how exposed our horses are to infectious diseases and how appropriate vaccination and biosecurity can help reduce this risk.